Indianapolis Bar Association membership is designed to complement your career in the legal profession. Membership connects practitioners to continuing legal education opportunities, a variety of professional and social networking experiences and a mix of practice-enhancing products, publications and services. Simply put, IndyBar membership is the right choice for Indianapolis attorneys, paralegals and law students. 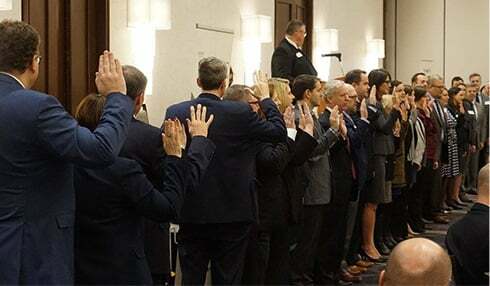 IndyBar membership opens the door to not only greater professional success-through business-generating networking opportunities, education in a wide range of legal topics and issues and resources that improve day-to-day practice-but greater personal satisfaction in the practice of law, with pro bono opportunities, community outreach activities and numerous social events. Click here to learn more about the benefits of IndyBar membership. Be Part of It. Join Today.